Finance Costs > How Much Does Aflac Cost? How Much Does Aflac Cost? Aflac has been in the insurance business since the 1950s when three brothers realized that every American family needed to have the assurance that everything would be okay, even when tragedy strikes. While this company started out simply providing insurance for families, it is since expanded to offering personal, family, business, and corporate insurance. How much does how much does Aflac insurance cost per month? Like health insurance, the price of Aflac is going to depend on the applicant, the deductible, annual salary and the policy that you want to sign up for. On average, most Aflac policies will range anywhere from $8 to as much as $25+ per month. To get an exact quote for supplemental insurance, refer to this eHealthInsurance.com search engine to see what it may cost you. For instance, an applicant who is 24 years old and makes $30,000 a year would pay $25 to $40 per month, while an applicant who is 55 and makes $75,000 a year would pay $61 to $97. The chart below will refer to short-term disability insurance. As for accident indemnity advantage, a policy that pays out-of-pocket expenses for an accident, can range from $4 to $9 per month. A hospital protection plan, a plan designed to cover hospitalization costs, can range from $7 to $14 per person, per month, depending on the age. The personal cancer indemnity plan, the #1 selling product for the company, protects you in case of a heart attack, stroke or cancer. Depending on the age of the applicant, the monthly premium can range from $5 to $8 per person, but if a rider is added, this can increase the costs to as much as $6 to $19 per month. Lastly, personal sickness indemnity plan, which is designed to cover sicknesses, can cost $4 to $8 per month, per person, again, depending on the applicant’s age. For example, one forum member on this Disboards.com forum thread claimed that she paid $17 per month, and her policy covered any health issues like a heart attack or coma. Another forum member on this WhattoExpect.com forum thread claimed that she paid $45 per month for her policy. Aflac specializes in short-term disability and supplemental plans. Basically, if you were to get ill or injured for a short period of time, Aflac would pay the bills for a certain period of time, which will all depend on the policy. This will give you time to get back on your feet so that you can let your body heal completely. Aflac can also act as a supplementary insurance, where it will pick up any bills that your primary health insurance does not pick up. Aflac also offers cancer indemnity, accident indemnity, disability, hospital protection, and long-term care. An indemnity policy will pay a daily, weekly or monthly cash benefit if you had to stay in the hospital. An accident policy would reimburse you for any costs if you were to get into an accident. A disease-specific policy will pay a premium if you have to have any treatments that are related to your disease. On average, be prepared to make five percent of your salary per month while you are temporarily disabled. So for instance, if you were to make $50,000 a year, you would probably make $2,500 per month. Also, depending on the plan, it may include “per day” diems that pay you so much money if you were in the hospital, etc. For example, one policy may pay you $500 a day for every night you spend in the hospital. Two common plans include 7/7 day elimination and 14/14 day elimination. This number refers to the number of days you have to be off work until the benefits kick in. Before you reach this number of days, your workplace should provide you with sick or vacation days. Aflac insurance can be obtained by either contacting an insurance agent or broker who represents Aflac. If you own a business, you can open a business account with Aflac and provide your employees with insurance through them. Adding dental or certain health policies may increase your monthly premium. You can also add other people to your plans such as a spouse or children. The lower your deductible, the higher your monthly premiums will be. Your deductible is the amount of money that you must pay before the insurance kicks in. If you have a long list of health problems when you sign up for Aflac, you will most likely have a higher rate. Is Aflac worth it? This is a popular question often asked. According to a former Aflac representative on this Reddit thread, he said will greatly depend on your lifestyle. Hospital insurance, life insurance for adults, short-term disability insurance and vision insurance will be sold via the workplace only, whereas individuals can buy accident insurance, cancer insurance, critical illness insurance, dental insurance or life insurance for children. Premiums will not increase as you age unless you change your premium in the future. Preexisting conditions may apply for the first 12 months of the policy. Be sure to refer to your paperwork to see what is going to be considered a preexisting condition. If the medical amounts succeed $3,000, a medical underwriting process will be required. Even if you quit your job, your benefits are transferable. Aflac policies are actually funded by employees, not the employers. Employees will choose the plan the works best for them and the policy will be deducted from their payroll checks. Always read the fine print to know the exclusions and conditions. In case of a claim, you will want to know how you can be covered. 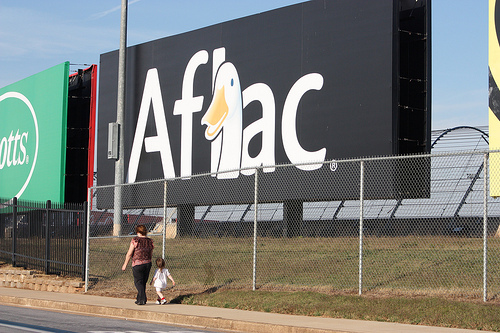 If your employer offers Aflac, see what if they pay any portion of your policy. If they do, be sure to ask how much you should plan on paying after the employer’s portion kicks in. Talk with an agent to let them show you what you may be paying. Usually, the lower your elimination number is, the more you are going to pay.